If you feel you might need dental work done, schedule an appointment with your family dentist. Before your office visit, you can familiarize yourself with the different types of general dentistry procedures that are available. This way, when you walk into your dental clinic, you’ll have a better idea of what type of dental work might be done, and you’ll be better prepared to ask your family dentist questions about what to expect. Do you have a chipped or cracked tooth? If so, bonding may be the treatment of choice for you. A composite resin is made into a paste that is applied directly to your tooth to rebuild it or to cover and seal the crack. It’s applied in layers, with each layer quickly hardened via a special light before the next layer is added. The top layer is then polished for a smooth, natural look and comfortable feeling. People of all ages can benefit from bonding procedures, which are affordable and can usually be done in a single visit. In addition to repairing cracked or chipped teeth, bonding serves to camouflage discolored teeth and rework any that might be misshapen. Dental fillings are needed when a significant portion of a tooth has suffered decay. A cavity forms, and usually the best way to address this problem is through one or more fillings for an effective, economical dental restoration solution. Different filling material exists, and your dentist can let you know what’s available and which type might work best for you. If a tooth’s decay is significant, a filling may not be enough. Instead, a crown may be needed. Dental crowns (or caps) fit over a tooth that’s had to be ground down due to extensive decay, reinforcing that tooth and creating a natural appearance that matches the rest of your teeth. Crowns can also be used in conjunction with implants. If any teeth are missing, a combination of bridgework and crown anchors can be designed to meet the patient’s needs. When tooth decay is extensive and teeth need to be extracted, partial or full dentures offer an affordable, convenient solution for replacing what’s missing. Dentures are dental appliances that can be removed for easy cleaning, making them appealing to many patients. Also known as periodontitis, gum disease can be a painful condition, whether it’s in its beginning or advanced stages. It’s best to address periodontitis early, since gum infection can grow and spread to damage not only the gum tissue, but also the supporting bone structure. Early intervention and treatment is ideal. When tooth decay extends down to the roots, a root canal procedure may be advisable. A root canal can enable you to keep your tooth while having the diseased portions treated. Of course, the other advantage of having a root canal procedure done is to eliminate the pain that comes from an infected tooth. If you’d like to spare your child the pain of cavities and avoid a few trips to the dentist’s office for fillings, have their teeth sealed. This is a simple procedure where your kids’ pediatric dentist brushes a liquid coating directly onto the top of back teeth. This coating is then quickly hardened via a light. This coating seals off tiny cracks on chewing surfaces to protect teeth from decay, avoiding (or at least postponing) fillings. Of course, dental exams and cleanings make up an important part of your (and your family members’) dental care. Exams enable your dentist to catch and treat small issues before they grow into big problems. Cleanings keep your teeth free of plaque for healthier teeth and gums and better breath! Smile Designers of Longmont, CO can take care of any general dentistry procedures for every member of your family. 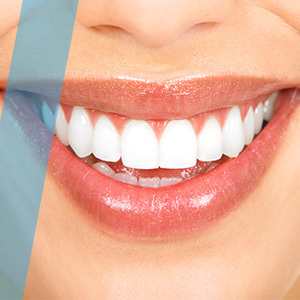 We also offer a wide range of cosmetic dental treatments, including teeth whitening, dental implants, dental veneers, and more. If you’re experiencing any type of teeth- or gum-related pain or discomfort, don’t wait. Reach out to get the treatment and relief you need. For affordable dental care and gentle dentistry that leads to a relaxed, stress-free experience, schedule your next appointment at our Longmont dental clinic.